The French nuclear giant is attempting to make its mark in solar with novel technology. 2010 was in many ways a tough year for solar thermal power plants. Federal and state agencies approved a number of plants and some companies such as BrightSource Energy managed to land capital, power purchase agreements and loan guarantees, but the mammoth nature of the projects continued to prevent the industry from taking flight. 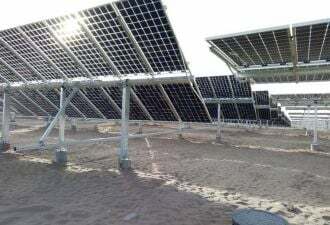 Stirling Energy and Tessera Solar gave up on trying to develop two solar thermal parks based on Stirling technology. BrightSource, perhaps the company farthest along, was hit by lawsuits from environmental groups. Solar Millennium earlier this year canceled its 250 MW Ridgecrest project. The declining cost of photovoltaics, meanwhile, continued to intrigue project developers and utilities. And the size of these PV projects continues to grow: First Solar and SunPower have projects in the 290 MW and 250 MW range. We had to ask: are solar thermal power plants doomed? Areva for one is not giving up. 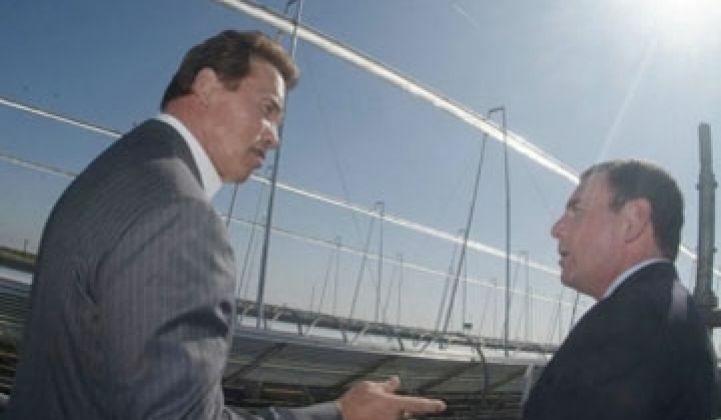 The French nuclear giant last year bought troubled Ausra, retrofitted its Fresnel lens technology, and now says its Areva Solar subsidiary is on the verge of some big deals. Jacques Besnainou, CEO of Areva's U.S. arm, told us today in an interview that Areva Solar will likely soon announce a large deal in Australia, Ausra's original home country. It is also bidding on deals in India, Morocco, North Africa and South Africa. Within three to five years, Areva Solar will achieve $1 billion in annual revenue, he said. Areva solar has no interest in PV or concentrating photovoltaics. "Our competitive advantage is producing steam and controlling steam," he said. "A nuclear plant is a big boiler." Areva also hopes to participate in the offshore wind parks being developed on the Atlantic seaboard. The company bought a turbine maker a few years ago and is already erecting an 80-turbine offshore wind farm in the North Sea. We also spoke extensively with Besnainou on nuclear. More on that discussion in a subsequent story.